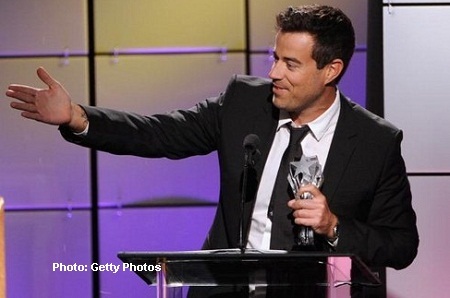 Carson Daly Explains Why THE VOICE Is Different From Those Other Shows! “Everyone thought we were crazy to enter the market place in prime time of network television of another one of ‘these shows’. We felt very confident in this format and what it stood for. We have four of the greatest names in music who had an earnest attempt to help people and not make fun of them in the hands of Mark Burnett at a network that gave it a serious commitment. So the story of THE VOICE is it’s own story. It was never born out of counter production. We didn’t create this show to live in the holes that other shows didn’t have. So you’re witnessing really a success story that takes a lot of moving parts to go right. We’re proud of what we do. It’s very different from the other shows. Yeah, sure we read and hear about the other shows and things that are happening more recently. But, never do we look over our shoulders and produce this show based on what’s happening elsewhere.